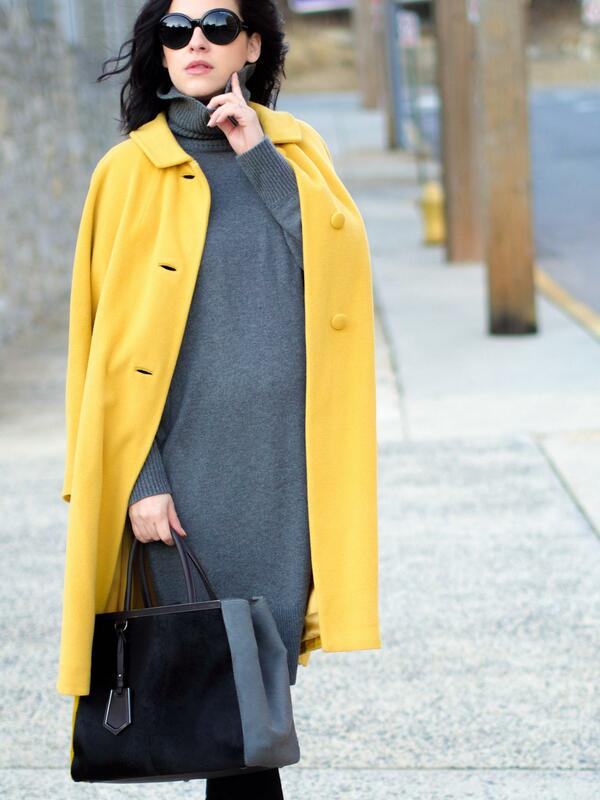 A Primary color coat and neutral everything else, this is my recipe for a fresh look in the Winter season. 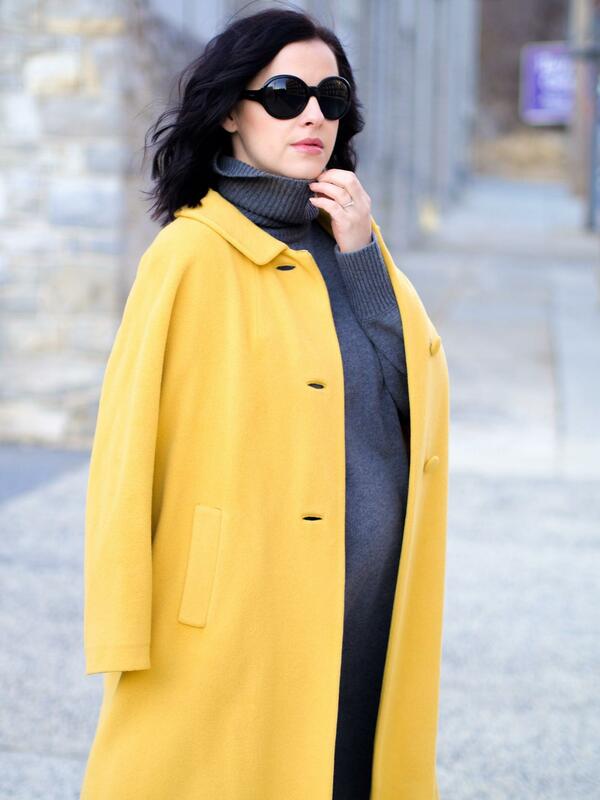 I love this yellow vintage coat of mine and it seems that every year I wear it in combination with something grey. This year is no exception and, as always, I am all about color combinations. Color- check, Minimalism - check, Classic Feminism style -Check. 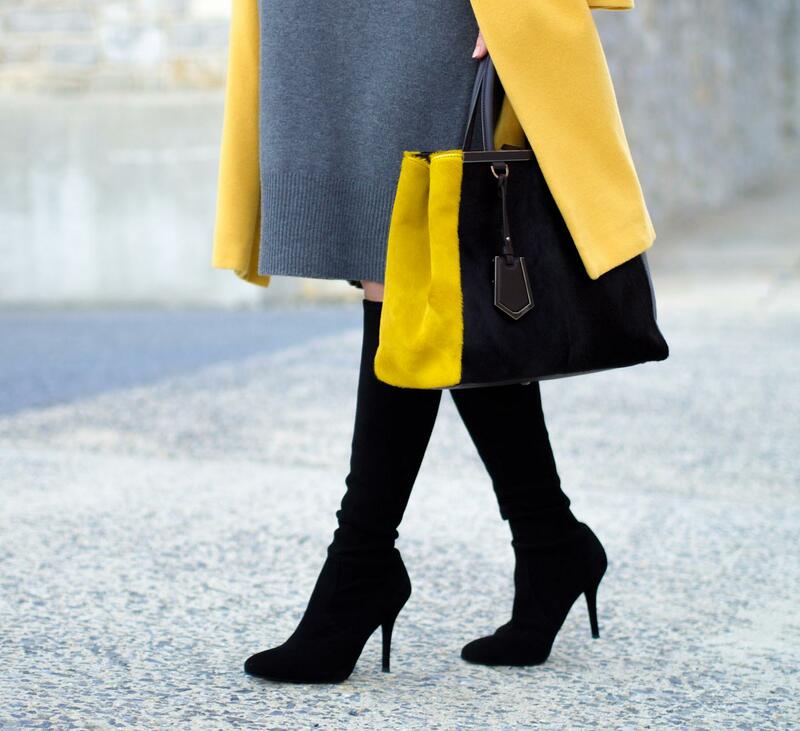 Great colour combo! I like this minimalistic and chic outfit very much! Beautiful colors. 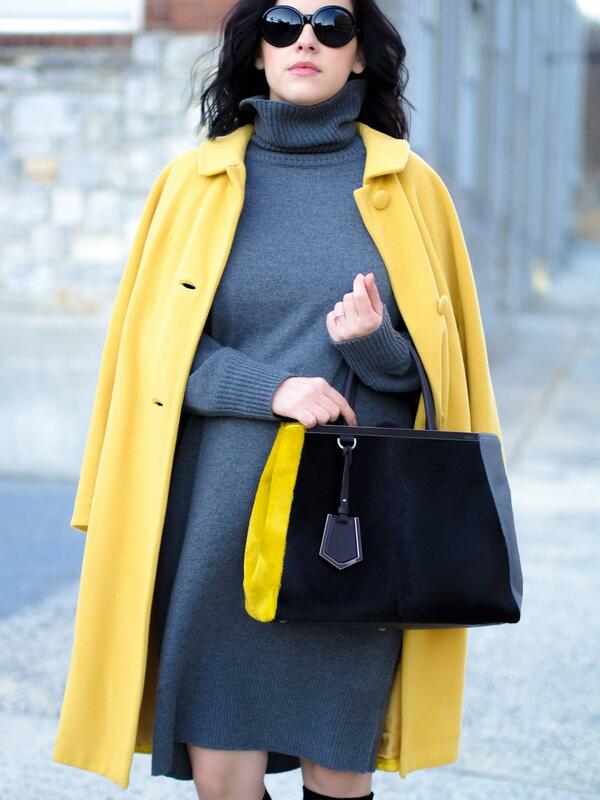 The yellow coat is really, really amazing. This coat is gorgeous! I love the color!